I reall love your blog and photography! Just wanted to tell you that. :) I look your pretty new notebook. I'm such a nerdy teacher! New "school" supplies just make me excited, especially when they're pretty. Great photos. Love the new leaves. Looks like a wonderful week. Thanks for linking up. Have a great weekend. What a great week of photos! My boys like to help in the yard too, but their helping usually only consists of picking up sticks ... then chasing each other around with them. :) Love the photo of your mom's flower and the bee. Can't wait to see some bees around here! I love all the pretty flowers including the one on your new notebook, what a cool design. Great snapshots. Love all the spring flowers. Have a great day! As always, perfect! Nicely done. 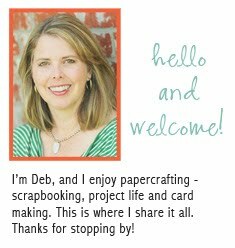 I love your collages, Deb! Nice collage they all look great! Everything about your collage says spring is on the way! Actually, it looks like it's arrived in your neck of the woods. Really like the spring photos, so pretty. Love your collage! All the garden photos make me happy. Great pictures Debra. I need get that collage. Love the new flowers this week! !